Will Argentina Wine Export Growth Return in 2016? Last week’s column analyzed the reasons Argentina’s wine boom fizzled out. Wine exports to the U.S market have more or less plateaued since 2010 after a decade of rapid growth. Part of the problem, I wrote, is increased competition in the wine market, particularly from the so-called Red Blends that seem to have taken some of the momentum from Argentinian Malbec. But the biggest factor has been Argentina’s domestic economic policies, which made it very difficult to do business and squeezed the margins of export industries, including wine. The squeeze has been particularly severe in the value wine categories, where the margins are so tight (or even negative) that Argentinian producers have been squeezed out. Will Argentina wine growth in the U.S market return in 2016? Maybe is the answer, although 2017 looks like a better bet than 2016. The main reason for optimism is the change in government that took place in December 2015 when Mauricio Macri became President of Argentina, promising an end to the policies that crippled the economy, especially export industries like wine, and pushed inflation skyward. The Economist magazine reports that Macri is “off to a fast start,” removing export taxes and allowing the peso to fall from its artificially high level. These actions will benefit exporters, but also send a shock to the domestic economy through higher interest rates and a short-term boost in the inflation rate due to rising import costs. Argentina’s wine industry it likely to be twisted in 2016, with falling domestic economic activity offset by the exchange rate’s boost for exports. Growth in both domestic and export markets will have to wait until 2017 and beyond. Good news under the circumstances even if it is far short of an instant cure for the ailing industry. But some of my friends in Argentina tell me that they are not expecting a miracle. They just want Argentina to be “like a normal country,” as they put it, in terms of its politics and economics and perhaps that’s what they will get. If “normalization” works, will Argentina’s wine boom return to the U.S market? Perhaps, but things have changed and adjusting the macroeconomic levers won’t turn back the clock entirely. Argentina will come back, that’s for sure, although it will take a while for the foreign exchange and other factors to be fully felt But don’t expect a return of the boom. The best that Argentina should hope for — and it is actually a good thing — is to be like a “normal country” when it comes to the U.S. wine market. By this I mean that its exports are driven by the normal factors and not subject to booms or crises. Being a normal country in this context suggests a focus on the $10 and above price points, because that is where market grown and margin opportunities are. And being a normaql country also means resisting the temptation to define Argentina as Malbec-ville. I know the temptation to adopt a particular grape as a region’s “signature variety” is strong, but I don’t see it as the best path for the industry. Argentina has Malbec, and that’s a good thing. But before the growth slowed smart Argentinean producers were already trying to add dimensions to their market space. Terroir is an obvious dimension that is even more important in signalling quality and authenticity than it was a few years ago. I think many consumers now look for region — Uco Valley? Salta? — and especially elevation (Malbec develops differently in Argentina depending on the vineyards’ altitude) as quality indicators. Another way to add dimensions is to exploit grape varieties beyond Malbec. There are so many wines that do well in Argentina besides Malbec and Torrontes, the two “designated” signature grapes. I love Mendel’s old vine Semillion, for example, And we recently surprised a Syrah-loving friend at a local Argentinean restaurant by ordering a higher elevation Syrah from the Uco Valley. He loved it, but would never have thought of ordering an Argentine Syrah. Time to get that thinking started. The options are nearly endless, as we learned a few years ago when we visited Buenos Aires and had lunch with sommelier Andrés Rosberg (you can read about the lunch here). Andrés knew that we would taste many Malbecs during our visit and he wanted to be sure that we understand that Malbec was only the most visible part of the story — not the whole story and maybe not even the best story. So he served us a line-up of wines that featured everything except Malbec and it was great. Lesson learned and it was reinforced as we met with winemakers and tasted distinctive Chardonnay, Cabernet Sauvignon, Cabernet Franc and even Bonarda. Malbec? Yes and that’s a good thing. But a lot more, too. This is an age of discovery for wine and Argentina has much to discover, both within the Malbec terroirs and beyond Malbec. That’s the sort of strategy that “normal countries” are embracing in the U.S. wine market today. Argentina has little experience as a normal country, making its way without crisis or drama. The success of Macri’s economic policies is not a sure thing since they depend on short-term sacrifice for long-term gains in an uncertain and even unstable global economic environment. It won’t be easy to become normal, but it is an important step. Sometimes, as Argentina’s national soccer team has demonstrated, great players and great ideas can come to a disappointing end. I am optimistic, however, and hopeful that the wine sector gain will regain momentum while avoiding the boom-bust cycles of the past. 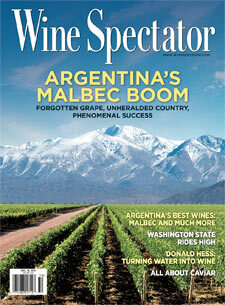 « Whatever Happened to Argentina’s Wine Boom? Regarding Argentina many people are pleased with the change of governmentfew expected this..so it is great for the country. However, we have to understand that the damage made by 12 year of Kirchner is high and will take time to fix itand it will be even more difficult under the current world financial situation of depressed commodity prices..Kirchner was favoured with high commodity prices especially soybean..now prices are down and China is not buying as muchAlso Macri won with a small MarginHalf of the Argentine love the ³socialist/leftist” ideas and love to ³work² for the state. Kirchner almost double the amount of state workers! ! And many are just political positions and never worked. Beside Corruptions has been insane. It will not be easy to change that. It is in the blood of Argentines!!. Beside Argentine loves Peronists and in my view they have destroyed the country since 1945. From 1870 to 1945 Argentina was among the top 10/12 countries. 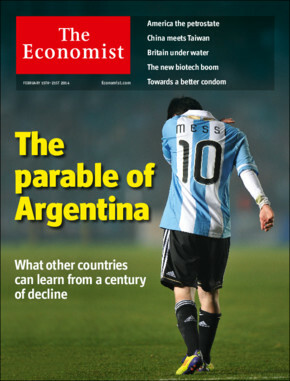 Since then Argentina has been in a downhill. I believe Macri will change this slowly. Hopefully!! Regarding the wine business, the devaluation is helping the sector. We went from $9.90 to about $13.50. Also they remove the 5% export tariffso it is about a 40% improvementhowever, prices are adjusting. Many supplies are quoted in USD and supplies produced in Argentina such as bottles have been increasing prices at about 8-10% per month in the past 3 months. So if inflation is not controlled the net effect will not be as great as expected (inflation is expected at 4-5% just in January and was about 4% in Dec.). If we compared the exchange rate with 2012 after Argentina had its big crises, Argentina was much more competitive than today. To match the parity of 2012, exchange rate should be close to $20 pesos. I believe that wine exports will improve but slowly. It won¹t be the export boom of 2002-2010. In 2002 Argentine wine exports were very low, less than us$250 millionIt grew to about $1bn in 2012 and started to decline to about $850 million in 2015. Exports to the US are flat since 2011 at about 6.9 million cases. Argentina lost the entry level markets of less than $10 it was no longer competitive for wines below FOB $25 per case. It will take time to regain that market. Furthermore Europe is much more competitive in terms of pricing than 10 years ago. We are moderately optimistic however cautious. From: The Wine Economist Reply-To: The Wine Economist Date: Tuesday, January 19, 2016 at 6:02 AM To: Guillermo Banfi Subject: [New post] Will Argentina Wine Export Growth Return in 2016?